I read this article and found it very interesting, thought it might be something for you. The article is called How Obesity Is Rising In India & Falling In The West and is located at https://archive.indiaspend.com/sectors/how-obesity-is-rising-in-india-falling-in-the-west-15908. A study released last week by UK-based Overseas Development Institute claimed that obesity is increasing in many emerging or middle income countries like India and China. Nearly 1.5 billion people were either obese or overweight in the world, according to the report based on data till 2008. Surprisingly, 904 million were in the developing countries and only 557 million in the industrialised nations. 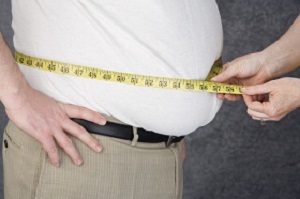 The number of obese people globally increased from 23% of the population in 1980 to 34% in 2008. And the major increase has been in the developing countries where the obese population went up from 250 million in 1980 to 907 million in 2008. According to the World Health Organization, the number of overweight /obese people in India is around 12% of the total population. And data from the 3rd National Family Health Survey (NFHS- 3) suggests that the majority of overweight people in India live in urban areas. The table has been arranged according to the percentage of obese women. It can be seen from the data (NFHS-3 covered only these 8 cities) that the highest percentage of overweight women is in Chennai (39.2%) while the highest percentage of overweight men is in Hyderabad (24.5%). The reason highlighted in the ODI report for the rise in obesity has been the change in food consumption patterns across developing countries due to rising incomes. While energy-based food supply increased by only 19% between 1961 and 2009 in India, this increased by 90% over the same period in China. Both the countries have also seen an increase in animals as a source of food energy. While there has been an 85% increase in use of animal sources by Indians, Chinese have increased their consumption of animal-related products seven-fold. The report goes on to say that while milk is the most important animal source of energy in India, it is meat in China. And also that a combination of religion and culture explains the unusually high incidence of vegetarianism in India – 31% Indians were lacto-vegetarians (consuming no animal products but milk), 9% were almost lacto-vegetarian (also consuming eggs) and even most non-vegetarians do not eat meat on a regular basis. Furthermore, the Governments of India and China are among the few middle income countries that have put in measures to ensure delivery of food, thus offering incentives to ensure access to food for vulnerable families. They have also introduced schemes to allow families with low incomes a rationed weekly or monthly allowance of cereals, oil, sugar, pulses and sometime kerosene for cooking at controlled prices below the market level. This has also affected the dietary habits of people. The Government of India has taken cognisance of the growing problem of obesity and its subsequent impact like hypertension, diabetes and cardiovascular diseases. The Government launched the National Programme for Prevention and Control of Cancer, Diabetes, Cardiovascular Diseases and Stroke (NPCDCS) in 2010. The programme aims to achieve behavioural change in the community to adopt healthy lifestyles including changed dietary patterns, enhanced physical activity and reduced intake of tobacco and alcohol, resulting in overall reduction in risk factors of common NCDs in the community. The estimated outlay of Rs 1,230.9 crore (Rs499.38 crore for interventions on diabetes and cardiovascular diseases & stroke and Rs731.5 crore for cancer control) on a cost-sharing basis between the Centre and the States in the ratio of 80:20 was approved in 2010. The programme will be implemented in 20,000 sub-centres and 700 community health centres (CHCs) in 100 districts across 15 States/UTs. It is expected to screen over 70 million adult population (30 years & above) for diabetes and hypertension, early diagnosis of NCDs and treatment at early stages. And to fill the gap in the health delivery system, about 32,000 health personnel would be trained at various levels to provide opportunistic and targeted screening, diagnosis and management of NCDs. Milind Mahske of Praja Foundation, a Mumbai-based NGO that works in the health and education space, says: “Obesity is affecting everyone, including people from lower income groups. India is not ready to deal with obesity-related disorders since there is no proper information about the spread of the diseases itself.